Take a tip from me. Beelax. My beekeeping is minimal but grand in its application. We humans actually have no clue what is going on. Every action is a futile effort. The less we do, the more the bees are empowered, the less danger they are in. Back in the day of rest before labor, no action or material was wasted. There wasn’t a lot to waste. We can be more in touch with where we live, who lives there, and what everyone is foraging on. It becomes easy to let go, and challenging in taking the next step. Perhaps there never was such a day when humans were not oppressing each other and their environment. Certainly things have never been as worse or drastic as now, but just how deeply ingrained are the psychological misalliances that drive us to control each other and dump on other species? How far back do they go? My beekeeping doesn’t strive to make a point. I can introduce you to some bees and you all can have your own discussion. 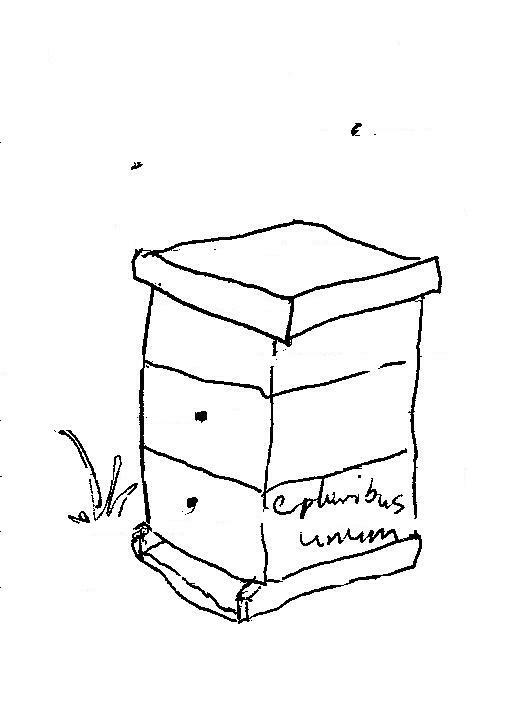 We have sources of bees (nucs and packages) local to the northeast. Check the homepage for beehive sources that use our queen bees. I strongly recommend that you start with at least two hives for juxtaposition and to provide options if problems arise. We suggest you learn to inspect, feed, and split your hives your first year. Making more hives is the only way you'll find and empower the strong survivor bees you want around pollinating your neighborhood. Location for your hives – ample forage throughout the warm season. Something in this order, the bees of the Hudson Valley see pollen and nectar from willow, oak, maple, dandelion, buttercup, vetch, trefoil, locust, basswood, clover, milkweed, sumac, knapweed, purple loosestrife, daisies, goldenrod, Japanese knotweed, asters… The bees will forage for maybe 6 miles in any direction to get it (though mostly within one to two miles), so your little front lawn isn’t going to hold their interest for long. Bees in the suburbs do well as everyone irrigates their clover. Beekeeping in the cities, though it is done, should be executed with caution to be sure the bees are finding enough nourishment, and swarming as well as diseases are under control. You will get to know your area and know the ups and down of the honey flow. There should be safe water available close by. Put your hive in full sun if possible, with at southeastern exposure. Shelter from the wind is very beneficial. The bees like their brood nest always at 92 degrees. 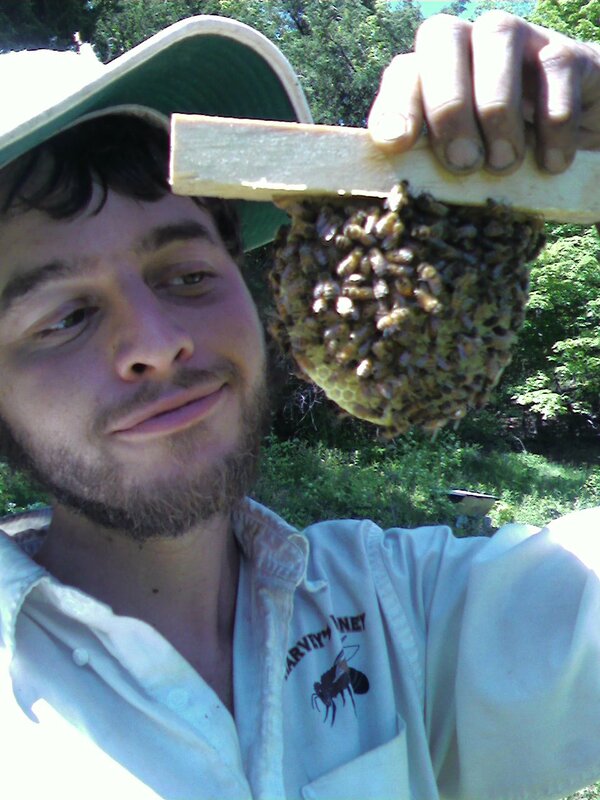 Hive stand – for top bar hives, I use a cinder block stand often, though they are heavy. Double stacked (4) blocks provide good height to keep the hive out of the snow. The hive can soon weigh hundreds of pounds, so you certainly don’t want it to tip over. You will need a brick or rock or two to keep the lid on. Smoker / smudge – the most effective tool we have in working with bees is sunlight, followed shortly by smoke. The over use of smoke can be detrimental, curtail foraging, make the queen run around. It can also calm the hives at their crankiest moments and avoid harsh feelings for all parties. A bee will be trying to sting me, I will send a puff of smoke her way and she will forget what she is doing and return to her hive and start chowing down on nectar. Veil – It's good to have one while you learn how to move around the bees. Though I never wear a veil, I have a full suit if I find bear damaged hives or am called about some “angry bees.” Visitors to your apiary might want to wear veils. It’s all fun and games till someone gets stung in the face. Feeder – You will help the hive get established by feeding, either clean honey or sugar syrup, easiest from a one gallon bucket inside the hive. Once a hive is established, it is not in my program to ever feed them other than robbing from the rich and giving to the poor. Epipen, benedryl – might bee good if you plan on showing your hive to others with possible allergies (assuming you yourself are not allergic like every one in 10,000 of us). 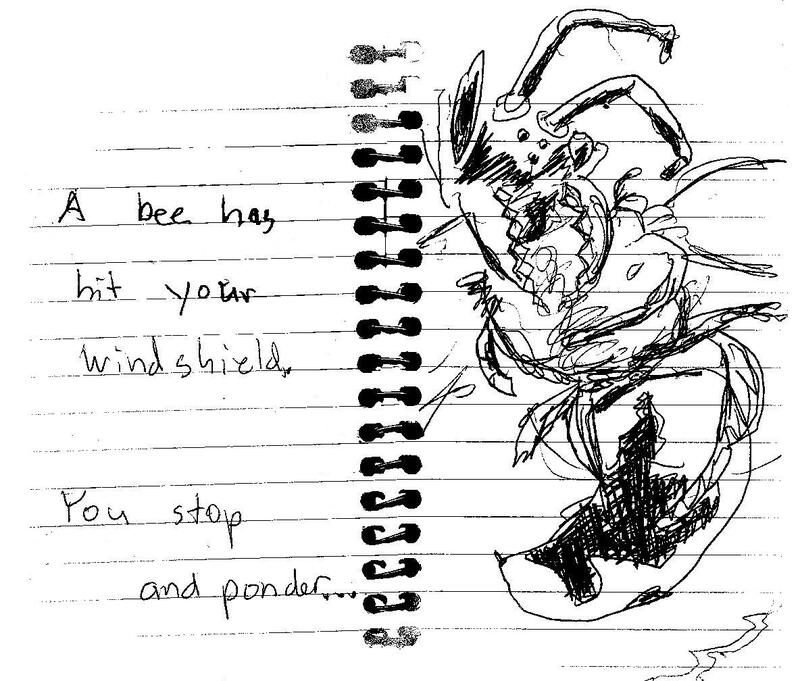 YOU WILL GET STUNG. Eventually. Maybe a lot. The first lesson learned is to not drop the frame or box when you get stung. You will need to overcome your apprehensions with it. The bees accept us as we accept them. You certainly can avoid the stings, though you are missing out on one of the exhilarating aspects of knowing bees. If you are never stung, the honey won’t taste as sweet. The medicinal benefits of bee venom are well documented, though generally shushed by a giant chemical medicine industry. They don’t want us to know we can heal ourselves without them. I recommend bee stings (accidental or premeditated) at least once a week. How will you know what to do with your bees? Look at the Anarchy Apiaries Almanac. Read all the stuff on the web and in the books and magazines. Then you have to make your own decisions, because there are as many (more) ways of keeping bees than there are beekeepers. You decide if you want to treat them or feed them or let them swarm. Without some sort of virus break/control, most commercially obtained stocks would perish, and possibly take the bee neighborhood with them. You decide how much time the bees take up in your life. I forfeited a long time ago. Or by starvation, dysentery, absconding, queenlessness, bears, comb collapse, beetles, pesticides, genetically modified pollens, miticides, microwaves, blenders, cell phones, or other reasons. I will say that the bees are doing well and I will keep trusting them. BOXES - top bar boxes, bee gums, anarchy bee condominiums, skeps, etc. Just the assembled box, divider boards, bars, and Anarchy Apiaries Almanac – catch a swarm in your neighborhood! QUEEN BEES - we'll ship them to you. US only at the moment– See QUEEN BEES section about available genetics. 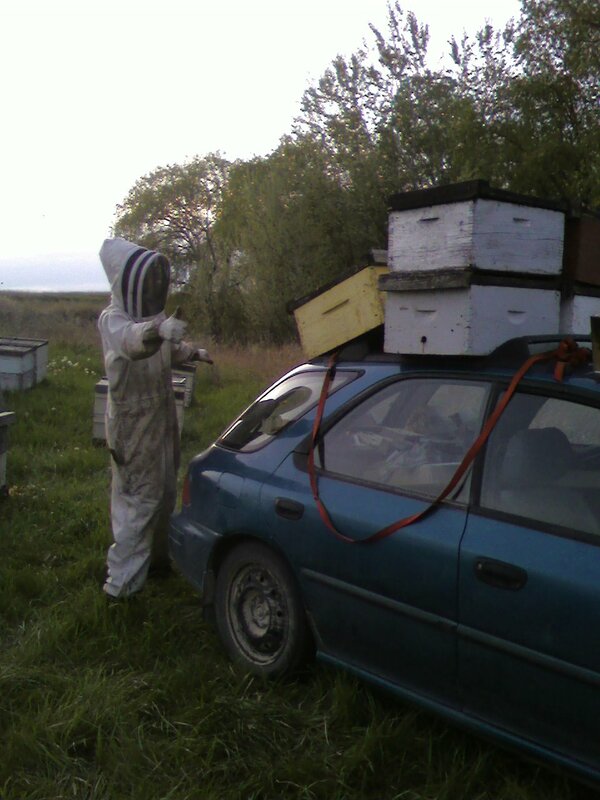 We encourage you to support local beekeepers in your own area. We will ship honey if you ask really really nicely. Our honey is available to purchase at Hudson Valley Bee Supply, the Basilica Farm & Flea fall market, and at times if you're lost in Germantown. Also got fresh propolis, bee bread, mead, and many opinions. We offer live bee removals from buildings and hive consultations. We are not licenced therapists.